The House of Commons Energy and Climate Change Committee (ECCC) has published a new report regarding the UK Government's draft of the proposed Energy Bill. MPs have stated that the proposals could bring about unnecessary extra costs for consumers, deter potential investors and lead to less competition within the energy market. The Energy Bill proposes the introduction of long-terms contracts; under this kind of system power companies would be provided with a price guarantee for all green electricity they produce. This has caused concern amongst members of the committee, who've argued that such measures could enhance the power currently possessed by the big six energy companies, at the same time preventing smaller firms - such as greenenergy suppliers - from entering the market. 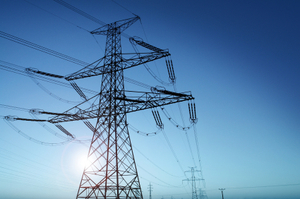 Chair of the committee, Tim Yeo, stated: "Electricity market reform is essential, but the new contracts proposed by the Government will not work for the benefit of consumers in their present form. The Government has a lot of work to do over the summer to make sure that the Bill is fit for purpose in the autumn and is not subject to any further delays." "Community-owned energy projects and small independent generators are in danger under the current plans of being squeezed out. If the Energy Bill does not set a target to largely decarbonise the electricity sector by 2030, then the UK may miss one of the biggest opportunities it has to create a low-carbon economy in the most cost-effective way."